Islamic State (ISIS) militants have released a video purporting to show the killing of British hostage Alan Henning. Taxi driver Alan Henning, 47, was delivering aid to Syria in December when he was kidnapped then held hostage by ISIS. 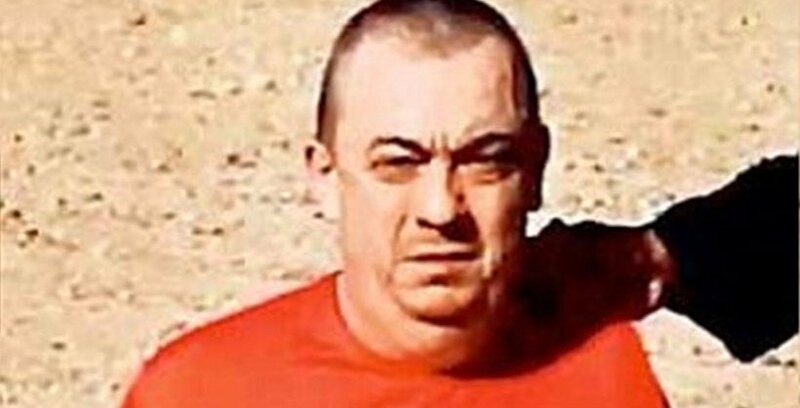 ISIS had threatened to kill Alan Henning in a video showing the killing of Briton David Haines last month. The UK Foreign Office said it was trying to verify the video, and if true it was a “further disgusting murder”. ISIS has previously released videos showing the apparent killings of two US journalists James Foley and Steven Sotloff, and Briton David Haines. The video released on October 3 is yet to be verified, but it appears to show Alan Henning kneeling beside a militant, dressed in black, in a desert setting. The footage ends with an ISIS fighter threatening a man they identify as an American. The UK Foreign Office said in a statement: “We are aware of the video and are working urgently to verify the contents. “If true, this is a further disgusting murder. Earlier this week Barbara Henning had asked for “mercy” for her husband, saying his family was continuing their attempts to communicate with the group. She also she had received an audio message of her husband pleading for his life. “Muslims across the globe continue to question Islamic State over Alan’s fate,” she said. She said her family was “at a loss” as to why ISIS leaders could not “open their hearts and minds to the truth about Alan’s humanitarian motives for going to Syria”. Last month, two high-profile imams in the UK made a direct appeal to ISIS to release Alan Henning.